The cover for the latest issue of Doctor Who Magazine has been revealed, with its use of the show’s new logo heralding a brand-new look for the publication. The logo, which was revealed last month, features on the cover of Issue 523 – out later this week – alongside a closer look at the Thirteenth Doctor’s revamped TARDIS. 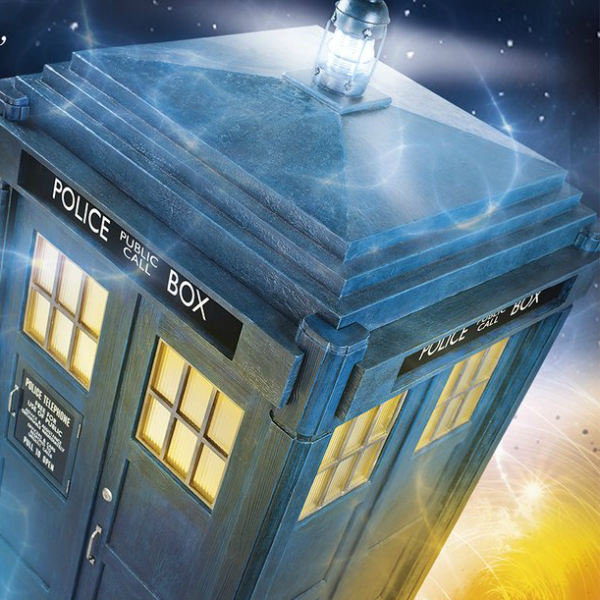 The latest version of the iconic blue box was originally unveiled along with Jodie Whittaker’s costume as the Doctor late last year, and has more recently been spotted during location filming with Whittaker and co-stars Mandip Gill, Tosin Cole and Bradley Walsh. This month’s edition of Doctor Who Magazine features exclusive interviews with new executive producer Matt Strevens as well as Michelle Gomez, who bowed out as Missy during the Doctor Who Series 10 finale The Doctor Falls. 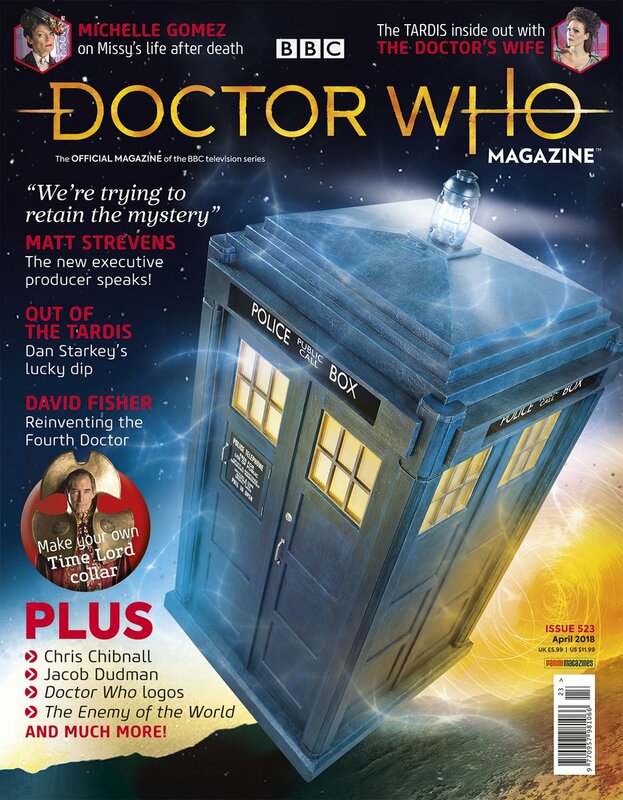 Also included in the latest issue is the return of the magazine’s ‘Out Of The TARDIS’ feature – this month with Sontaran Commander Strax’s Dan Starkey – and a tribute to Fourth Doctor writer David Fisher, who passed away earlier this year. Doctor Who Magazine #523 is on sale from Thursday 8th March, price £5.99.